specializes in project transportation, specifically into the DRC, but also to various other destinations including Zambia and Zimbabwe. concentrates on consolidation work into Zambia and runs a fleet of “Express” vehicles ranging from 1 tonners to super-links. is a Zambian based company which has warehousing and yard facilities in Chingola and acts as a check-in point for all C2C vehicles on route to the DRC as well as a distribution hub for Ka Go 2 Go consoles into the copperbelt. The Greendoor Group was formed in 2006 by Ken Hall and Mike Koch who together recognized a need in the market for a reliable cross border transport service provider. With both gentlemen carrying a wealth of experience in the transport industry, they were able to secure blue-chip clients and grow the various companies from scratch into what they are today. Now, under a new corporate umbrella, but still operating on the same core family business principles, the GG team are motivated and ready to offer you a cross border transport solution which is both dependable and transparent. We look forward to doing business with you. The Greendoor Group specializes in the transport of containerised and break bulk cargo via Durban, South Africa to/from Zimbabwe, Zambia and the Katanga Province of the DRC. The Greendoor Group delivers on YOUR promises. We are committed to profitable growth for all our customers. We pride ourselves on our high ethical standards, integrity and reliability as well as proactive and open communication. We aim to build strong and mutually beneficial relationships. All our trucks are fitted with state of the art 24 hour Satellite Tracking. This provides us with the control and you with the visibility at all times. Based on traditional family values and a thorough understanding of our operating environment, provide our customers with a tailored, high class and reliable delivery service. The Greendoor Group is fully licensed and compliant to handle a wide range of project and specialized cargo from out of gauge (OOG) to dangerous goods and even explosives. 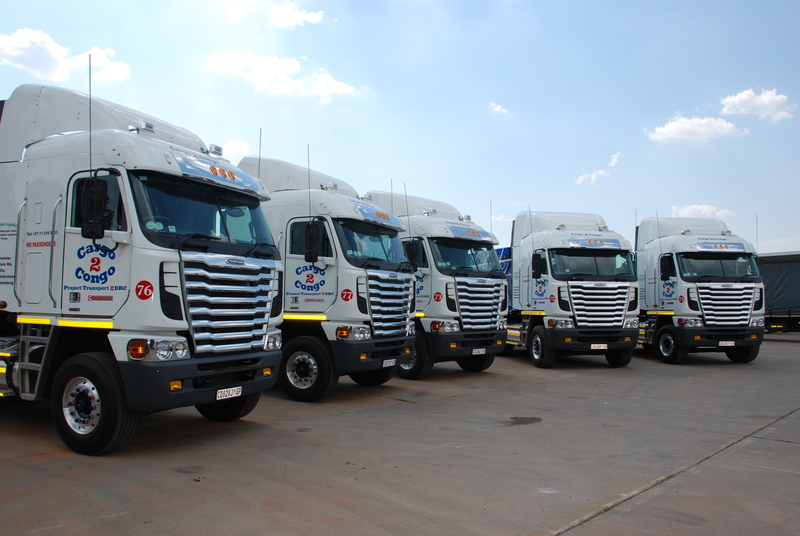 Our fleet operates between South Africa, Zimbabwe, Zambia and the DRC as well as Mozambique, Namibia and Botswana. We have a highly experienced team that will ensure your specialized cargo is delivered efficiently. We offer a range of value add services which include customs entries, assistance with BiVac inspections as well as warehousing and packaging at our Johannesburg, Lusaka and Chingola facilities. The Greendoor Group was formed in 2006 by Ken Hall and Mike Koch who together recognized a need in the market for a reliable cross border transport service provider. With both gentlemen carrying a wealth of experience in the transport industry, they were able to secure blue-chip clients and grow the various companies from scratch into what they are today. Now, under a new corporate umbrella, but still operating on the same core family business principles, the GG team are motivated and ready to offer you a cross border transport solution which is both dependable and transparent. A Zambian by birth, Ken Hall’s entry into the transport industry started with the movement of horses. Ten years later, Blue Chip Racehorse Carriers was the biggest horse transporter in South Africa. After acquiring various other transport businesses, the company was listed on the JSE as Supertrans. Ken served as Chairman of Supertrans for a number of years, before selling his interest in the company and emigrating to England. On his return from the U.K. Ken got involved in Hazardous Packing and the transportation of Hazardous Goods, whilst simultaneously setting up a specialist cross-border transport operation. It was at this point that he was introduced to Mike Koch. Mike too had been in the transport industry all his life. His first venture being Highway Carriers which he eventually sold to Imperial before being invited by them to join their board which he served on for many years. After his retirement from Imperial Mike was on the lookout for promising business opportunities and after a few brief meetings with Ken they decided to pursue the cross border market together. This culminated in the establishment of the Greendoor Group, which now includes Cargo 2 Congo , Ka Go 2 Go and Hauloads Zambia Ltd. Cargo 2 Congo was established to service the growing demand for project transport into and out the DRC and Zambia. The company started operating with a small fleet of company owned vehicles and a handful of Sub-Contractors. Since then it has grown in leaps and bounds under careful management and through local knowledge and experience, to owning over 200 vehicles - 30 of which have just been driven off the showroom floor (June 2016). The fleet consists of super-links and 15m tri-axles as well as some specialized units such as stepdecks and lowbeds - all fitted with satellite tracking. Added to our impressive Johannesburg HQ our cross border infrastructure includes dedicated runners at all border-posts, offices at Kasumbalesa, as well as warehousing and workshop facilities in Livingstone, Lusaka and Chingola. 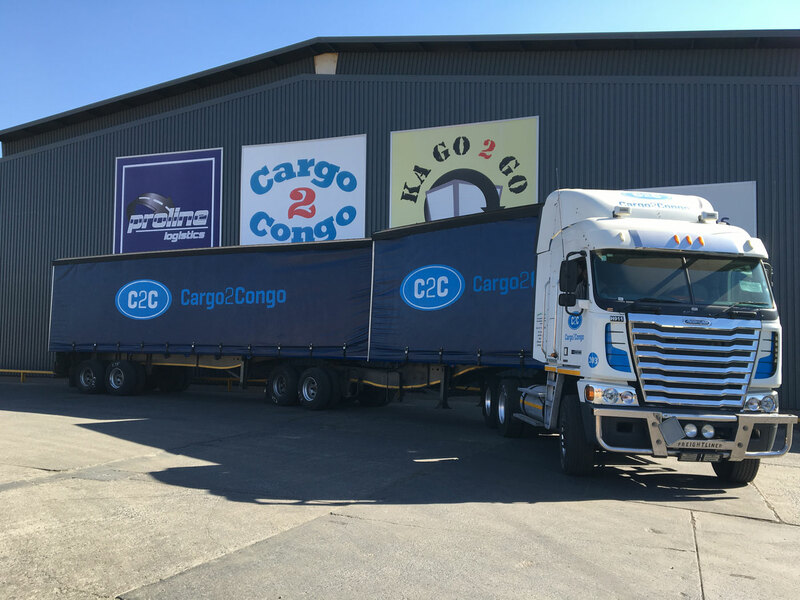 The management of Cargo 2 Congo, with COO, Gary Hall at the head, feel that being able to dedicate reliable vehicles full time to a project allows for greater flexibility and more precision in the execution of tasks. In addition, this depth and reliability allows Cargo 2 Congo to tailor make services to clients’ specifications and it is this ability that sets Cargo 2 Congo apart. 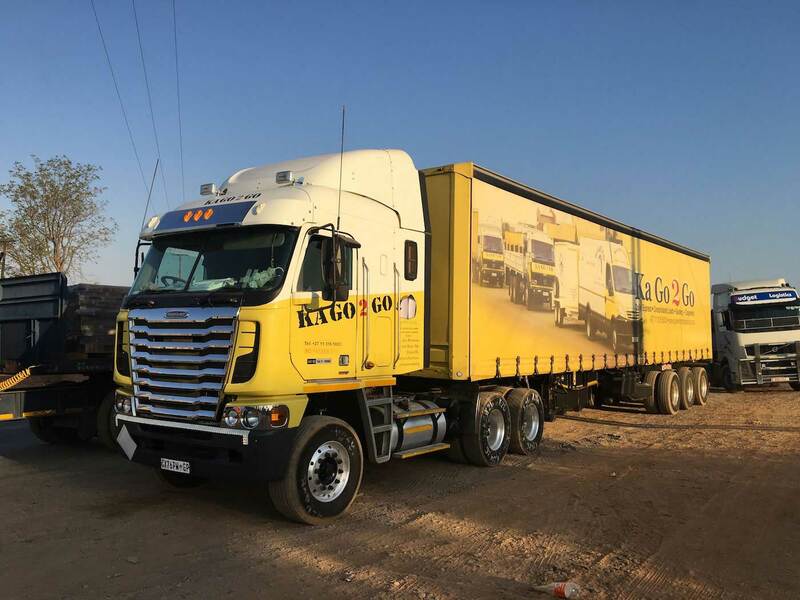 Ka Go 2 Go was established in 2001 and specializes in running consolidated and express loads to Zambia. This niche market into Zambia has grown remarkably due to the support from many of the mines and their suppliers, both in Lusaka and on the Copperbelt. 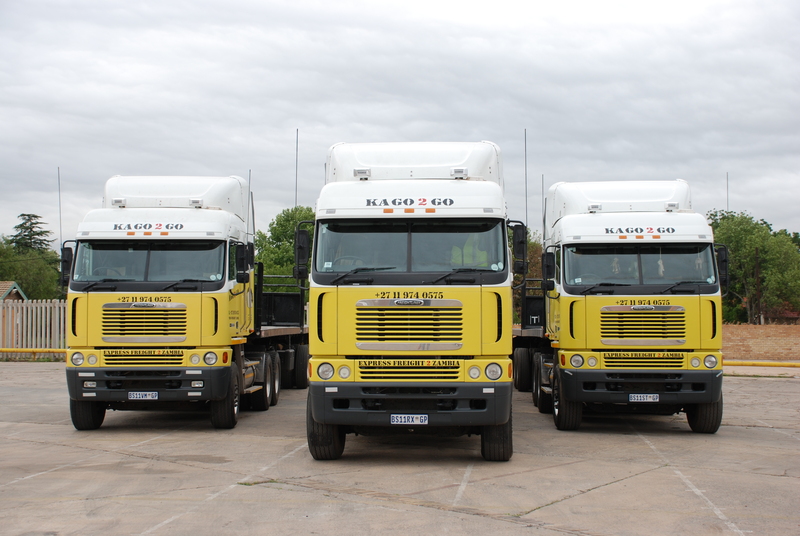 Ka Go 2 Go operates a diverse fleet of vehicles ranging from 1 Ton LDV's to 32 Ton Super-Links. With more than 30 loads leaving for Zambia per month, the company has a vehicle departing from its premises on a daily basis. The company further has the luxury of calling on the Cargo 2 Congo vehicles when required to do so. The 1 - 2 ton Emergency Vehicles can clear & deliver goods from JHB to the Copperbelt within 3 days, whereas the 7 Ton Express vehicles take between 5 - 7 days while the "Budget" offering of tri-axles and superlinks cover the journey in approximately 7 - 10 days. COO, Richard Hall, heads up the operations. 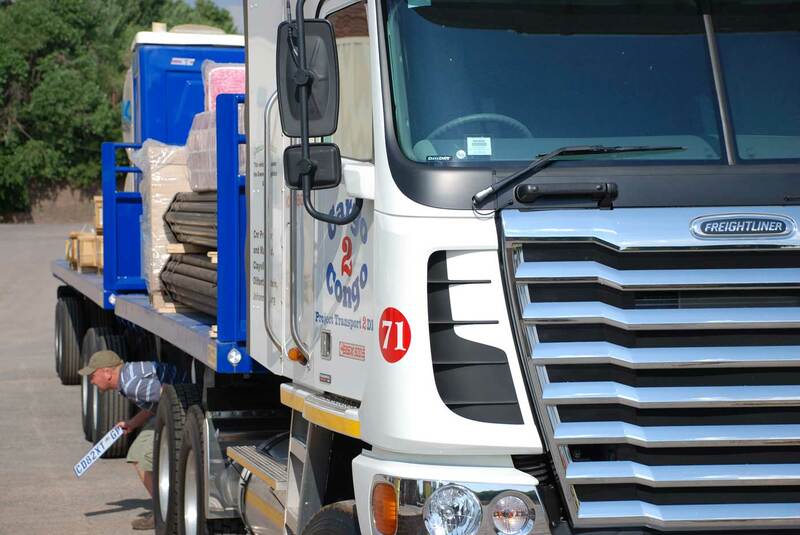 Crossloading Zambia Ltd was first established as a distribution centre and check point for the vehicles in the Greendoor Group delivering to Zambia or continuing on to the DRC. However, as a result of the high demand for transport from Zambia into the DRC, the company has since developed into Hauloads – a full transport company with over 40 heavy haulage rigs to its name. The Zambian registered company and vehicles give the group even greater flexibility as it allows for collection and delivery both in Zambia itself and to and from all neighbouring countries in accordance with the third party rule. The company's depot in Chingola includes a Customs Registered Warehouse and offloading facilities. There are full time guards at the premises and the office is manned 7 days a week. In addition, there are numerous vehicles based at the depot which deliver smaller shipments around the Copperbelt and also do collections for South-bound loads. The GM is Chris Blignaut.